Twelve months ago Darlan proved to be one of the most exciting novice hurdlers in training with victory in the Rose Appeal Supports Alder Hey Top Novices’ Hurdle and, following his sad death in February, some consolation was provided for his connections by My Tent Or Yours, who strolled home to win this year’s renewal by 16 lengths from this stable-mate Forgotten Voice. “He had a hard race at Cheltenham and got beaten fair and square – I think it was a very good Supreme [Novices’ Hurdle] this year – so it’s nice to come back and finish up by winning like that not only does the horse good but I promise you it does us an awful lot of good too,” said trainer Nicky Henderson. “Earlier on in the season he was doing miles too much but now he really is doing it tidily. Early on we didn’t like to let him loose at his hurdles but now we can go on and let him jump and he’s very good. 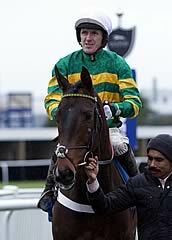 Tony McCoy was already thinking of next season for the six-year-old, who was beaten into second place by Champagne Fever in the Supreme Novices’ Hurdle at the Cheltenham, was always travelling strongly under the champion jockey and although his jumping was sticky in places, he easily outclassed his three rivals to record his fourth victory of the season. “He’s a good horse and he seems to be getting better all the time,” said McCoy. “I didn’t think My Tent Or Yours could get beat at Cheltenham but that’s horseracing. 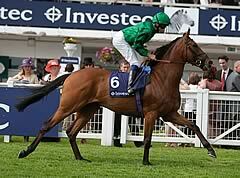 “He is a good horse and he is one to look forward to. He has got size and scope to jump a fence and that’s what I liked about him when I rode him last year because although he has a Flat pedigree, he has plenty of size, scope and bottle. An emphatic victory by My Tent Or Yours was the dominating theme of this Grade Two novices’ hurdle, but the beaten horses will win future races. Third-placed Zuider Zee would be an example, for this was just his third run over hurdles and he lacked the experience of his three rivals. A couple of callow mistakes cost him ground in a race where the tempo offered no way back. His trainer, John Ferguson, said: “It’s a long way from victory in a novices’ race at Ayr to a Grade Two championship race. “As they quickened up down the back straight, he made a few mistakes and that’s curtains. Nonetheless, I’m happy with him – it’s progression, because that was his first time in the firing line and he will have learned a lot.